Don’t Replace – Repair! At Macino Shoes we take our shoe repair service seriously. The “cobbler’s art” is alive and well at Macino Shoes. 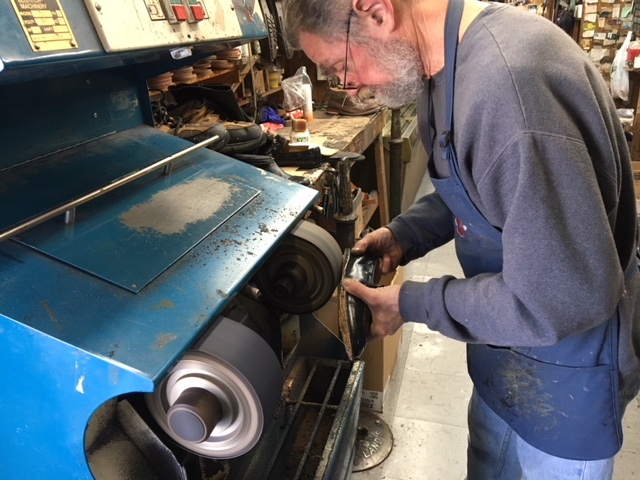 Our decades of experience have led to many, many satisfied shoe repair customers – who see the benefit of repairing that favorite pair of shoes that fit so well. Whether shoes, boots, loafers or even ladies heels call us for your next shoe repair. 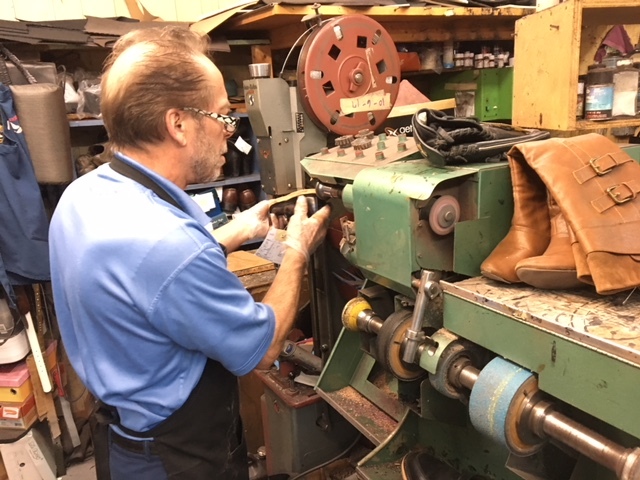 Click on the pics to enlarge and take a look at the short videos of shoe repair in action. I recently graduated from college and I brought a pair of dress shoes into Macino’s Shoe Repair and I could not have been more pleased with the results! Before they received them, they were not in the best condition from the many years of neglect. When I picked them up however, they looked completely different! I would recommend anyone to this place for not only the amazing quality but also the friendly staff who will go out of their way to help you anyway they can!